Today, Israeli Prime Minister Benjamin Netanyahu will address a joint meeting of our Congress. You’d think the Obama administration would welcome the insights of the leader of our closest ally in the Middle East. But President Obama, Vice-President Joe Biden, and Secretary of State John Kerry have refused to attend. In fact, no member of the Obama administration is expected to attend. This is a shocking insult to our ally, and it all boils down to the Obama administration’s refusal to understand the danger of a nuclear Iran. All of the Obama administration’s many failures in the Middle East – from the descent of Libya into a terrorist playground to the rise of ISIS – pale in comparison to the farce unfolding in Iran. The Obama administration is negotiating with the Iranian regime as it builds a nuclear bomb right under our noses. Just recently we found out about another “secret” undisclosed nuclear site, one Iran failed to disclose to our negotiators. At this point, the Obama administration’s eagerness to strike a deal with a regime that has armed militants who killed American troops and has sworn to destroy Israel is one of the most dangerous developments of my lifetime. America has to wake up. We swore “never again” would we allow anyone to try to wipe out the Jewish people or commit mass genocide like we saw during World War II, and yet we’re allowing a regime that promises genocide to acquire nukes. Let our friends in Israel know we stand with them! Prime Minister Netanyahu was warmly received by the joint session of Congress. There were many standing ovations, and the Congress continued to applaud as he exited the Chamber. Netanyahu’s historic speech outlined in detail the dangers Iran currently poses and the even greater dangers a nuclear Iran would impose. Here is the PBS video of Prime Minister Netanyahu’s speech. It covers the entire joint session and is longer than other versions. Netanyahu enters the Chamber at about the 22-minute mark, and it is well worth watching the welcome he is given as he makes his way to the podium. His exit from the Chamber starts at about the 1 hour 8 minute mark. Applause accompanied him all the way out of the Chamber. It is obvious that Bibi Netanyahu is loved and respected by the majority of Americans. Shorter versions of PM Netanyahu’s speech were posted by The Savage Nation, C-SPAN, and others. Washington Free Beacon also posted highlights from Netanyahu’s “speech before the speech” at AIPAC the day before. 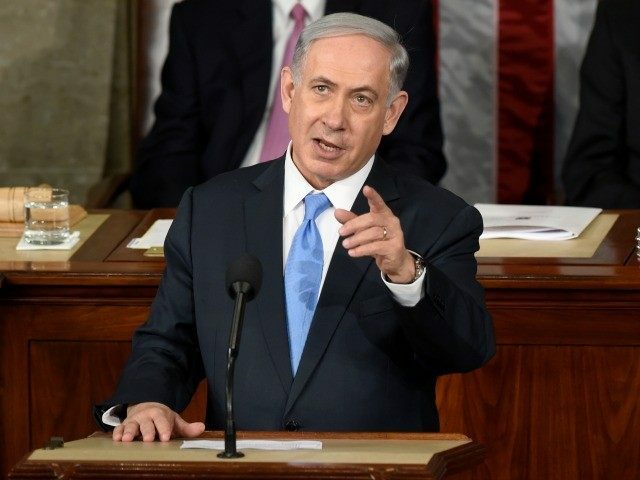 On Tuesday, Prime Minister Benjamin Netanyahu of the State of Israel reset the agenda for the Western world in a speech before a joint session of Congress. For weeks, the Obama administration has attempted to direct attention away from Netanyahu’s actual agenda – stopping the Iranian nuclear deal – and toward petty political maneuvering over permissions to speak and Democratic boycotts. All of that fell away in the wake of a clear, powerful, and emotional call by Netanyahu for the United States and Israel to stand united against the evil terror of Iran. That clever gambit – an attempt to kill the Obama administration and the boycotting Democrats with kindness – placed President Obama’s puerile spitefulness on Israel in stark contrast. That, of course, was the point. Every time Netanyahu spelled out the ways in which the Obama administration had helped Israel – instances that were, by and large, pro forma commitments every American president makes to Israel – he forced Obama into a corner. Turning the other political cheek turned out to be a powerful weapon. I feel profound obligation to speak to you about a threat to the survival of my country and the survival of my people, Iran’s quest for nuclear weapons. In nearly 4,000 years of history, many have tried repeatedly to destroy the Jewish people. Iran’s regime is as radical as ever. Its cries of Death to America, the same nation it calls the Great Satan, are as loud as ever. This shouldn’t be surprising…[Iran’s] ideology is rooted in militant Islam. That’s why this regime will always be an enemy of America. “Militant Islam.” The two words Obama refuses to say in that order. Iran and ISIS are competing for the crown of militant Islam…Both want to impose a militant Islamic empire, first on the region, then on the entire world. They just disagree who will be the ruler of this empire. In this deadly game of thrones, there is no place for America or Israel…When it comes to Iran and ISIS, the enemy of your enemy is your enemy. And, Netanyahu pointed out, Obama’s negotiation would end with Iran gaining a nuclear weapon. That is exactly what could happen if the deal now being negotiated is accepted by Iran. That deal won’t prevent Iran from developing nuclear weapons. It would all but guarantee Iran gets those weapons. Lots of them. Second, and more importantly, he said, even if Iran complies with the deal, after the ten year period, they would be free to develop nuclear weapons without restriction. A decade, Netanyau pointed out, is a “blink of an eye in the life of our children.” And when that decade ends, “The foremost sponsor of global terrorism could be weeks away from having enough enriched uranium for an entire nuclear arsenal, and this with full international legitimacy.” Furthermore, no deal will include a stop on Iranian intercontinental ballistic missiles, leaving Europe and the United States vulnerable. If the world powers aren’t willing to insist that Iran change its behavior before a deal is signed, at the very least, insist that Iran change its behavior before a deal expires. If Iran changes its behavior, the restrictions would be lifted. If Iran doesn’t change its behavior, the restrictions should not be lifted. If Iran wants to be treated like a normal country, let it act like a normal country. They need the deal a lot more than you do. And by maintaining the pressure on Iran, and those who do business with Iran, you have the power to make them need it even more. My friends, for over a year, we’ve been told that no deal is better than a bad deal. Well this is a bad deal. It’s a very bad deal. We’re better off without it. I wish I could promise you, Elie, that the lessons of history have been learned. I can only urge the leaders of the world not to repeat the mistakes of the past. Not to sacrificed the future for the present, not to ignore aggression in the hopes of gaining an illusory peace. But I can guarantee you this: the days when the Jewish people remain passive in the face of genocidal enemies, those days are over! Moses gave us a message that has steeled our resolve for thousands of years…Be strong and resolute, neither fear nor dread them. My friends, may Israel and America always stand together, strong and resolute, may we neither fear nor dread the challenges ahead, may we face the future with confidence, strength and hope. May God bless the state of Israel, and may God bless the United States of America. 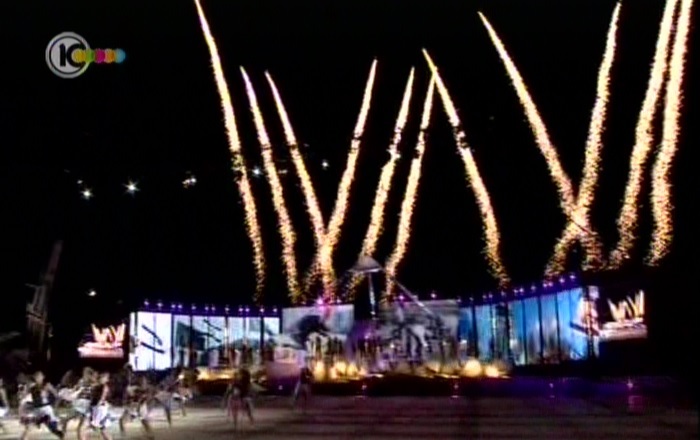 The controversy over the politics of the speech is over. Now the world must answer Netanyahu’s question: will Israel have to stand alone? The full transcript of Prime Minister Netanyahu’s speech can be found here. Thank you, Colorado Christian University and Western Conservative Summit! You’re doing great work raising the next generation to effectively defend our republic. I loved being with you yesterday in Denver; it was an absolute honor to meet so many good people there including empowered patriots from American Conservatives of Color (www.ACofC.com). “Truth Transcends Color” is their motto. Preach it! American Conservatives of Color, your core values statement is the answer to how that invisible wall of separation crashes down, making way for the united effort needed to rebuild this great nation! You are inspiring, bold, and RIGHT as you declare, “The days of saying ‘Someone needs to do something’ are over.” Together we are that someone! Another highlight was shaking hands with the talented and wise Dennis Prager. I’d just watched his great work that day on the Elijah List where his impressive teaching video is posted. It’s short; it’s awesome; it’s appreciated! Watch what’s described as “everything you need to know about the Middle East conflict in one short video”: http://youtu.be/8EDW88CBo-8 Love this! Rocky Mountain Black Conservatives, I was so thankful to meet you yesterday! This is the beautiful Stockham family: Debra, Casper, Faith, and Cheryl. Palin: What is America’s Leadership Thinking? Regarding this comparison, is he thinking it’s America or Canada that would be lobbing mortars across the other’s border to strike fear and kill innocents? And is he thinking that America is compared to Israel or Palestine? Or is it Canada that’s more like Israel or Palestine? Really, friends, if anyone else, ANYWHERE, had made such a claim, that person would be skewered and pilloried forever. Again, what is America’s leadership thinking? Prime Minister Netanyahu recorded an Independence Day greeting for America. Netanyahu is a true statesman and carries himself with the dignity of the great man he is. America is longing for another statesman President of his caliber. In this address, Netanyahu actually sounds more American than our current President. He expresses the ideals that have made America great, the ideals that are rooted in America’s JudeoChristian heritage. Here is a transcript of Netanyahu’s address following a brief introduction. Even though I can’t be there in person, I want to express my appreciation to President Obama and the American people as you celebrate Independence Day. You see, because as Israel’s prime minister, I appreciate deeply all that America has done for Israel. And as the leader of one of the world’s most vibrant democracies – you know how vibrant – I appreciate all the great sacrifices that America has made in order to advance liberty and democracy throughout the world. Precisely. The American Revolution brought these two powerful ideas together, and they made America a beacon of liberty for all humanity. Now, you know that the Middle East is undergoing a profound and a stark transformation. The question arises: Will these twin ideas, will they become rooted in our region too? All those who value freedom should remember that to be a real democracy, it is not enough to have a government that represents the majority of the people. Real democracy also means having a government that respects the rights of each and every individual. A real democracy is not really about holding popular election – it’s about what happens between elections. It means ensuring that no one is above the law. It means protecting free speech, freedom of the press, freedom of religion. It means upholding the rights of minorities, gays, women , children – everyone – by ensuring popular sovereignty and individual rights. The nations of the region can join America and Israel in being genuine democracies. Now, will this happen? In the near term, I think we will all agree there is ample reason for skepticism. The forces throughout the region that are rising are not exactly – how shall it put it – they’re not exactly Jeffersonians – but in the long term, in the long term, I believe there is reason for hope, because with the spread of information technology, it will become increasingly difficult to keep young minds closed, cloistered in darkness. Ultimately, the power of freedom is bound to prevail. Ultimately, people throughout the Middle East will enjoy the rights that we in free societies too often take for granted. Ladies and gentlemen, July 4 is a time to not take freedom for granted. It’s a time to be thankful that history granted America the power to match its ideals with action. It’s a time for free people everywhere to send their best wishes to the United States of America, to the country that has done so much to make the world a safer, freer, and more peaceful place. So on behalf of the people of Israel, let me wish President Obama and all the American people a happy Independence Day – 0r as they say in small towns across America – Ha’atzmaut. Professor Alan Dershowitz exchanged blows with Max Blumenthal of Media Matters in his recent address at a University of Pennsylvania event intended to counter the Boycott, Divestment and Sanctions (BDS) movement on campus, . 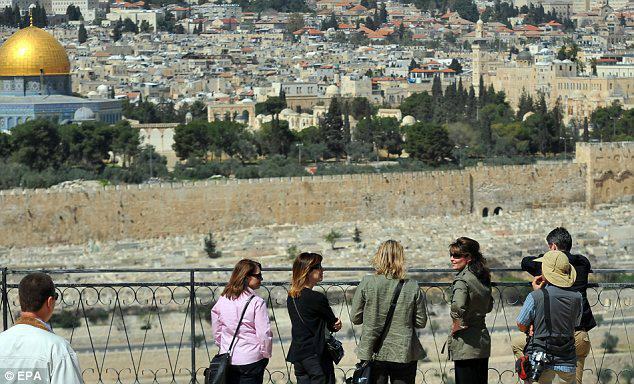 Palin’s trip to Israel was well received by the majority of Israel and a necessary trip for those considering a run for president. Many individuals are praising Palin for visiting one of the United States’ most trusted friend and ally. 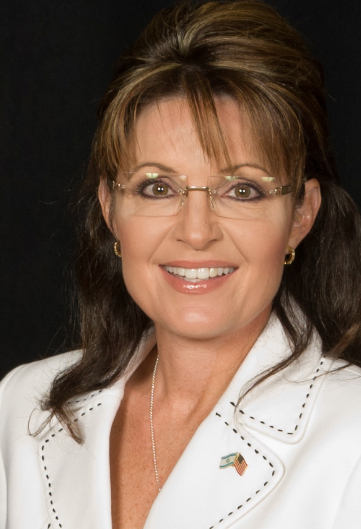 Conservative Radio Host Mark Levin praised Palin for her visit to Israel. In his most recent note posted on Facebook, Levin commends Palin and takes aim at liberal Republican Commentator David Frum, describing him as a “disgraceful, petty, Palin-obsessed Washington-insider” and criticizing him for his recent disappointment in the fact that Palin booked her trip through a Christian tour group and did not take the Washington insider route and use the Republican Jewish Coalition (RJC) to book her trip. But that’s not good enough for Frum. According to him, she didn’t use the RJC, of which he is a Board member, to handle the event. As an American, Jew, and conservative, I consider Frum an embarrassment. With rising anti-Semitism throughout the world and support for Israel weakening in the West, including among young people in the United States, he should be praising her visit and her commitment to Israel. He should encourage more such trips and meetings by more opinion-makers and politicians, regardless of the group that handles these events. Instead, Frum focuses on nonsense. This is why Frum is neither taken seriously nor should be by a growing number of thinking conservatives. Frum has never hidden his dislike of Palin, but it is his latest comments that are the most surprising considering the fact that Frum is Jewish. Frum is yet another example of those obsessed individuals who say they do not care about what Palin says or does, yet whenever she does say or do something, they have to find something about it to criticize. This, my friends, is the number one symptom of Palin Derangement syndrome. Mr. Frum, if you are serious about wanting to be taken seriously, then, I suggest you find something of high intellectual value to complain about. Until you do, I suggest you refrain from stirring up complete and utter nonsense and looking like a fool in the process! That…is…all. After speaking in Naples, Florida Wednesday evening, Sarah Palin went On The Record with Greta Van Susteren. Though teased as a look at Sarah’s trip to Israel, and the possibility of a presidential run, much of the interview centered around Libya and the lack of coherent policy. Sarah Palin comes off as a competent and confident leader in this interview. The emerging Palin Doctrine can be summed up in her philosophy that if we are going to be involved in these things we must be “in it to win it and if in doubt, get out” I take that to mean, either have a winning mindset from the start, or don’t bother. This go hard or go home attitude is how one wins the future, to borrow a slogan from our President. This is very Reaganesque. His strategy with the Soviet Union could be boiled down to four words: “We win, they lose“. The world expects a strong United States. It expects the United States to have a strong Commander-in-Chief. History shows when the United States becomes disengaged, or weak on the world stage, very bad things happen. Both World Wars, the rise of radical Islam, and even the build up to 9/11 can be traced to unengaged, “progressive” Presidents. [Democrats] who were more interested in re engineering the United States, building a socialist utopia, rather than keeping their eye on the ball. We are seeing all of this play out once again with Obama’s helter-skelter, all over the map, lunacy. The Obama regime’s foreign policy has all the makings for a good screwball comedy. Sadly though, this is real life, and people will die. As you watch Greta’s interview with Sarah, you see a Commander-in-Chief. An optimistic leader who looks at how things are, sees how things can be. I’m not just talking Foreign policy either. When I hear Sarah Palin speak, I am reminded of the same feelings I got hearing Ronald Reagan speak when he was President. Sarah has that steady, competent leadership ability to get the nation, and the world, back on track.